Going to DreamHack was kind of tough call this time. For about 10 years, DreamHack was one of my traditions how to spend end of each year. Usually we went by car with bunch of friends doing coverage for Razer. But this year driving 1337km one way would be bit and overkill for just one guy. Past DreamHacks most expenses had been covered by a third party. While being at the hotel only 50m (54 yards) from Elmia was convenient, it would be not that great for my wallet. Hotels and Airbnbs in the area tripled their prices due to DreamHack. Decision was made, my bank account cried loudly and I found myself on plane heading to Sweden. Staying downtown was actually refreshing, because I have had chance to finally see parts of city that I missed during previous visits. Though 12 hours at Elmia each day took its toll. First thing, that hit me in the eyes were barriers, corridors and security frames at each entrance to Elmia. According to my informations, DreamHack was forced to take security measures after infamous Florida Incident. Those security measures meant HUGE ques especially on Saturday and it kind of broke my heart. Me, remembering DreamHack as an open platform, where players meet and enjoyed huge fun and some serious LAN party was torn into pieces. My landlord commented my indignation by simple sentence: "At least nothing happened." That might be true, but it is one of those things that I will probably never go by. as "he" was obvisouly vilest "person" at whole event. First years when I visited DreamHack, it was really THE BIGGEST LANPARTY in the world. All halls were packed from left to right, countless crowds were flowing back and forth and every place possible was filled by somebody with PC playing their favourite game. This year, halls were divided to support multiple activities, so there were visibly less seats and less visitors, compared to previous events. Whole half of Hall B was removed in favour of eSports and vast number of exhibitors was replaced by huge stands of few partners. Hallways, that used to be full of players were reduced in favour of indie projects, presenting their games. doors and walls. Hiding both players and production and offering some shelter. First attempt of this "segregation" was made last year, where players got their spaces on side of main stage, but it was probably not enough, so now it was almost unpossible for visitors and fans to see their superstars. One of few chances was as players played their games on stage or while watching opponents in auditorium. My motivation was to bring back some informations and coverage to local community so I did what I could - but security guards do not like to see "202cm" in action near stage. Press or no press, nobody cared. What made me smile with a bit of despair was a security guy (most probably first timer) telling me that Iam actually bothering and distracting players by standing under the stage. You can check level of my intrusion at Czech Quake Twitter. We were blessed by amazing talents this year - #MagnificentSeven took their job pretty well, and continue their tough work even while visiting rest of fans at main stage. 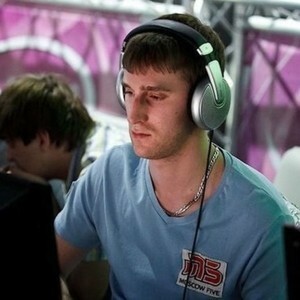 Friday was true Marathon, players started their games at about 9AM and continued during the day till 11PM. For players and teams, that advanced thru Winners brackets, it was kind of warm-up, but most of players spend whole day playing as they tryed to advance to play-offs. Special place in my heart goes to duo of "Specialist" (Flee & Makaveli) that were ready for whole day to add their professional opinions on each game played! All in great attitude and with huge energy. I dont want to say, that casters duos were not presented - they of course were - but they did their shift and could have some time to chill, unlike those two mentioned above. Peace! Kind of sad category of whole championship was Saturday. 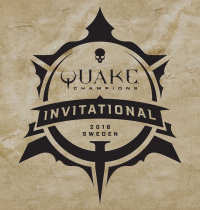 As we were following 2on2 part of tournament on main stage and at stream, behind the closed doors - without any attention or mention - DUEL tournament continued during whole day as players in Loosers Brackets fought for qualifiacation spots in Playoffs taking place next day. I believe that at least dozen of those matches contained same portion of intensity and devotion as those in Team modes. I fully understand, that on such big event, its almost impossible to follow all games, but I hope that next time if such situation occur, there will be kind of different schedule, or production will at least offer some highlights from unaired games. I can imagine both finals on Day 3, secondary stream feed or some other solutions. At the end, the best players of the World were present! 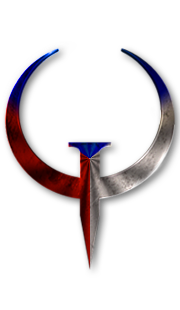 and I hope to see you all on next Quake event soon. Pěkný, díky za report. Veliká škoda je, že různorodé formy terroru nám berou bezprostřední zážitky (viz rámy, kontroly, etc. ).